We've loved Jennifer Niven and her fabulous Velva Jean series for years. Now, she's bringing her great voice to a younger audience with All the Bright Places, a story of teenage friendship. The Seattle Post-Intelligencer says, "Touching, beautiful, heartbreaking, and haunting, Finch and Violet will follow you around long after you have turned the last page of the book that brings them beautifully to life." In Becoming Clementine, Jennifer Niven weaves a spellbinding story of a secret mission and dangerous passion in World War II Paris. Niven is the author of the popular Velva Jean novels, including Velva Jean Learns to Drive and Velva Jean Learns to Fly. In Becoming Clementine, Velva Jean assumes the alias of Clementine Roux and works as a spy with the French Resistance, eventually falling in love with her fellow agent. Mysterious Galaxy is proud to be partnering with Adventures by the Book for an exciting off-site event at the San Diego Air & Space Museum with author Jennifer Niven. For reservations and information, please visit their website. 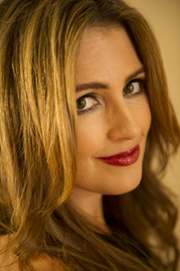 Jennifer Niven is a LibraryThing Author, an author who lists their personal library on LibraryThing. Jennifer Niven's book American Blonde was available from LibraryThing Early Reviewers. Jennifer Niven's book Velva Jean Learns to Fly was available from LibraryThing Early Reviewers. Jennifer Niven is currently considered a "single author." If one or more works are by a distinct, homonymous authors, go ahead and split the author. Jennifer Niven is composed of 4 names. You can examine and separate out names.